High Speed Rescue Launch to attend the Ian Proctor Centenary Rally. 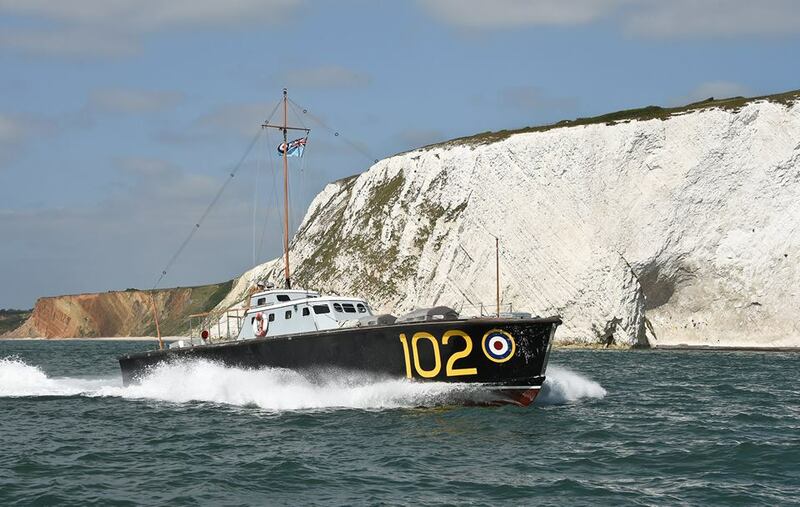 We are excited to announce that we will be visited by a restored 64 foot High Speed Rescue (HSR) launch during the Classic Boat Revival as part of the Ian Proctor Centenary Rally. This is particularly special as Ian Proctor was in the Air-Sea Rescue service and where he quickly advanced to be in charge of a High-speed Rescue Launch similar to HSR 102 visiting Bosham. In 1943, Ian was shipped out to Egypt, where he was put in command of a three-boat rescue unit. These were exciting and dangerous times and Ian would find himself doing far more than simply rescuing downed airmen. After a ‘special operations’ team had kidnapped a German General on the island of Crete, it would be Ian’s boats that would collect the commandos and their captive from the beach. 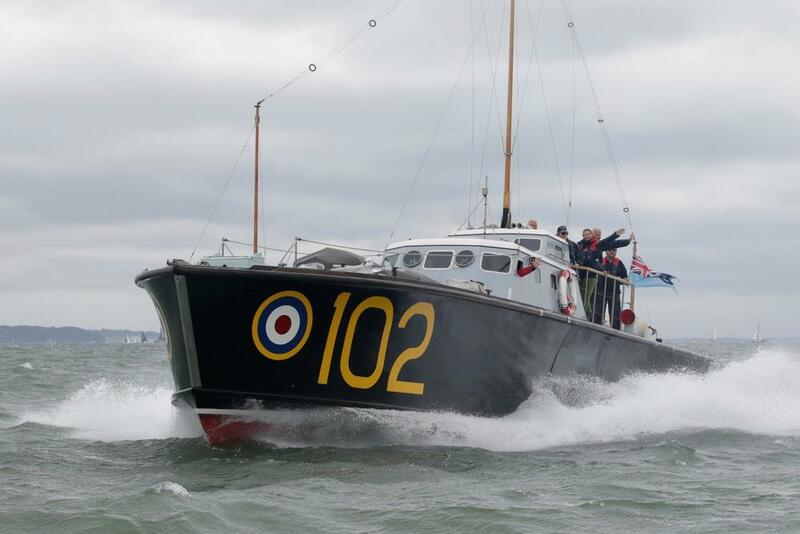 The HSR 102, commissioned in 1936, is capable of 40 knots and will endeavour to be alongside the Quay, subject to weather conditions, around high tide (HW 1st September: 15.58 hrs; HW 2nd September 16.47 hrs). When not at the Quay she will be cruising around Chichester Harbour observing the racing. She was restored in the early 1990s and was present in Caen to commemorate the 60th anniversary of the D-Day landings. 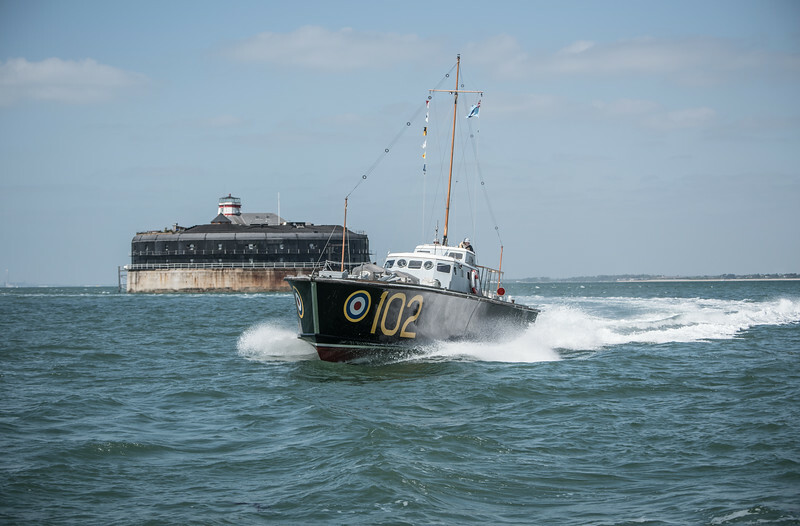 In October 2009, HSL 102 was purchased by the Portsmouth Naval Base Property Trust with the aid of a grant from the National Heritage Memorial Fund. HSL 102 is to be restored to her wartime condition and preserved for the benefit of future generations.